Intex Playhouse Jump-O-Lene Inflatable Bouncer Just $37 Shipped! You are here: Home / Great Deals / Amazon Deals / Intex Playhouse Jump-O-Lene Inflatable Bouncer Just $37 Shipped! 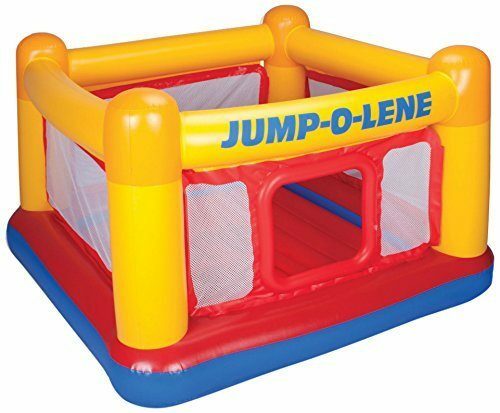 Head over to Amazon and get the Intex Playhouse Jump-O-Lene Inflatable Bouncer, 68″ X 68″ X 44″, for Ages 3-6 for just $37! (reg. $64.99) Shipping will be FREE! Perfect for jumping and playing, the Intex Playhouse Jump-o-Lene(TM) is a great play gym for young kids to enjoy for hours on end.This colorful bouncer comes equipped with a crawl-thru door for kids to easily crawl inside.